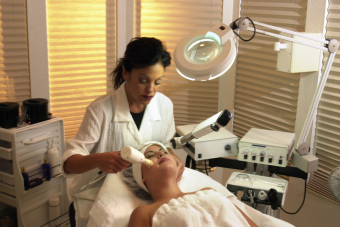 It's true, medical devices are used by Estheticians. In most clinics in the US, esteticians are often used to perform treatments... but outside the US not so much. Here's an email I received from Susanne Warfield, Executive Director of NCEA, taking us to task for 'misinformation'. I received a call from one of our members regarding your website and the statement about estheticians using medical devices. Estheticians are using medical devices every day...- even an electric tooth brush is a medical device as defined by the FDA. It is very important that we understand that any device sold and marketed in the United States must be registered with the FDA and laser and light therapy devices are just another medical device that have "Indications for Use" and "Intended Use". Anyone have thoughts on what an esthetician in the US (or each state) can or can not perform? Where's the line?